I was recently speaking with a colleague who mentioned that he wanted to get a better familiarization with his business but was unsure how to start the dialog. He also mentioned in the past that when the IT department took on such endeavours that it was met with some time constraints. I suggested that he might want to look at spending time with the business contacts similar to a speed dating event. 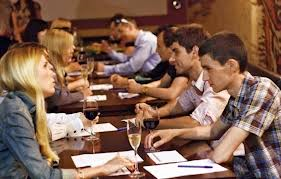 I went on to outline that speed dating at its core was established for busy people to maximize connections in a minimum of time. Looking at some typical questions I have outlined how they might apply to conversations with your business. Well, ok this one is a bit obvious (or is it?). Just because you think you know what your business does you really need to hear it from them in their terms rather than making assumptions. After all this has been an IT problem from the beginning. Find out a bit about your business and their beginnings and how it pertains to the delivery of services for your them. It may also speak to the journey that the organization has faced up until this point and may give you additional insight into how better to provide service. This may also apply to geography in ways that service is provided. What may work well in one area may not apply to another. What is the one thing about yourself that you would like me to know? This line of questioning may allow you to get a better understanding on what makes your business unique. Something which may not be on the ‘about us’ page on their website but gives IT the personal touch. When was your last relationship and how long did it last? This type of question may speak to any relationships that were held between IT and the business in the past and how they were handled. What made them a success and what did not. Use this information toi make some improvements on what you are doing today. This may refer specifically to what your business is looking to achieve as a result of the relationship between them and IT. While fundamentally they are looking to get great customer service there may be additional traits that they are looking to see. What do you think is the most important value in a relationship? This may reveal a component of your business which is particular value. For example workplace safety may be of prime importance and knowing that you may have a different viewpoint on how the support of services are handled with regards to outages to particular services etc. This may give some insight to the roadmap of how your business would like to see itself improve over the next few years. To become a strategic partner how you may need to address your service delivery improvement strategy as well. This is only a beginning but gives you a sense that you may not need to sit down and pour over a questionnaire which may take hours in its inception. Short meetings in the beginning will allow you to gather some information as well as get some ‘buzz’ on the business side for what you are doing.